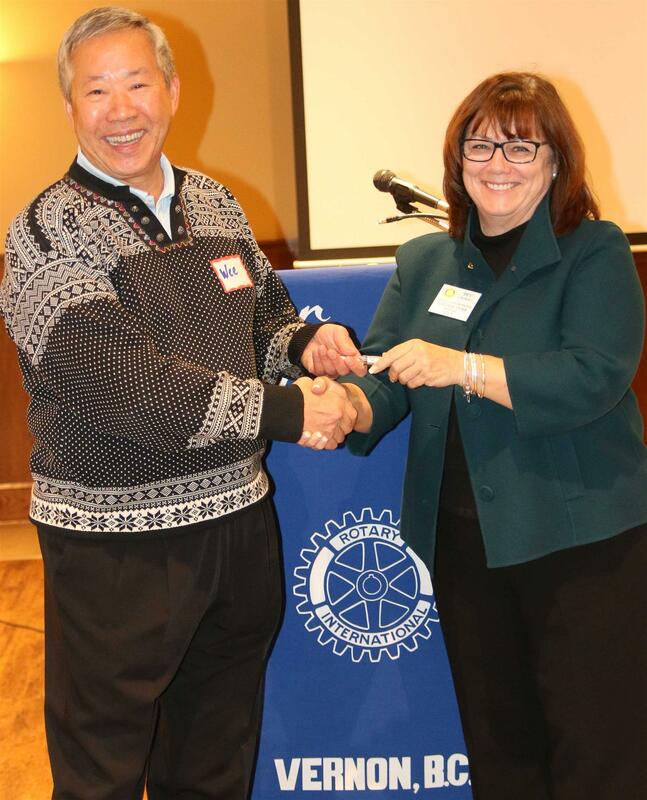 Bev Rundell hosted Wee Yee, President of the (Sep 12th to 16th) 2017 Vernon & Area 55+ Games. A retired electrical engineer & project manager in Calgary’s oil & gas sector, with over 20 years of volunteer & Board experience with the Calgary Stampede, plus a recent stint as Funtastic’s Executive Director, this affable gentleman is eminently qualified to lead 1,200 volunteers through hosting 3,500 participants. He noted the 2017 55+ Games started here in Vernon thirty years ago, so this anniversary may be celebrated alongside Vernon’s 125th & Canada’s 150th birthdays! With a $400k+ budget, & a local economic impact of over $3.5m, this event is a big deal. Wee has a team of 12 Directors, each with a portfolio of responsibilities, & a support team of their own. Plans include open & closing ceremonies, plus two dances – alcohol may be involved. Club members were invited to consider joining the volunteer ranks.